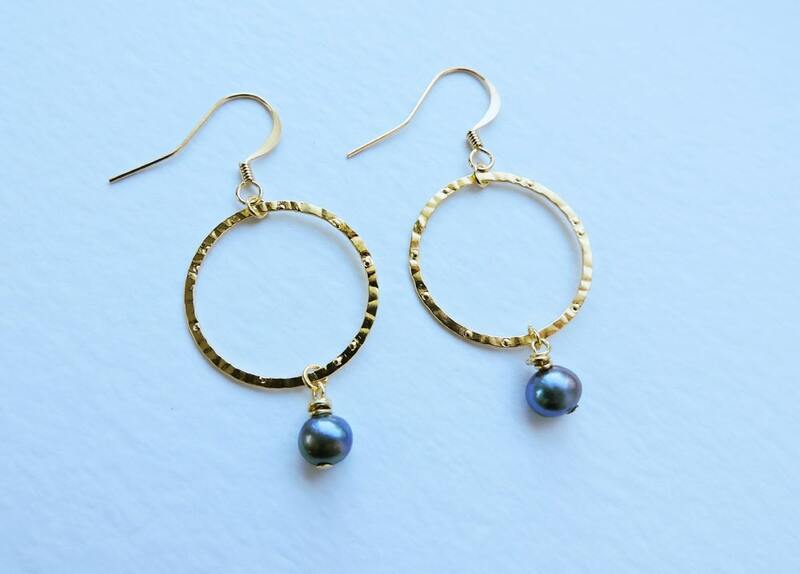 Pretty, delicate hammered gold hoop rings with gold wire-wrapped blue/grey peacock freshwater pearl drops. 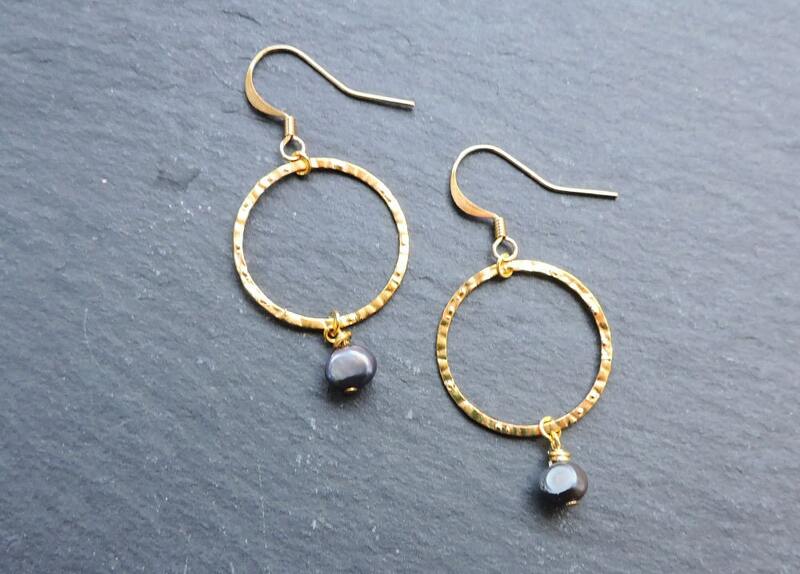 Pretty, light-catching earrings, perfect for bridesmaids or bride. Dimensions: 50mm drop x 30mm wide (25mm Gold plated ring, 6mm approx. 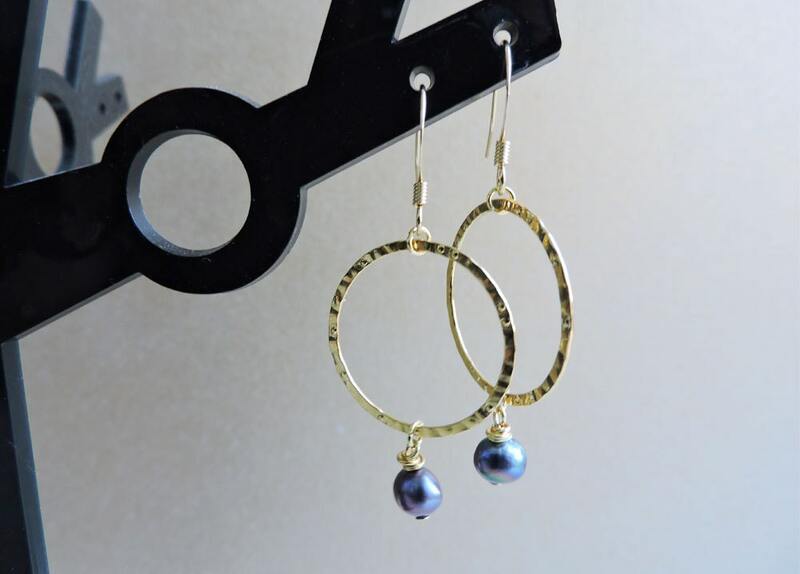 freshwater peacock pearls, Gold plated earwire: 23mm x 17mm). All findings are gold-plated.